Exterion Media, the out-of-home media owner, has launched an experiential division. 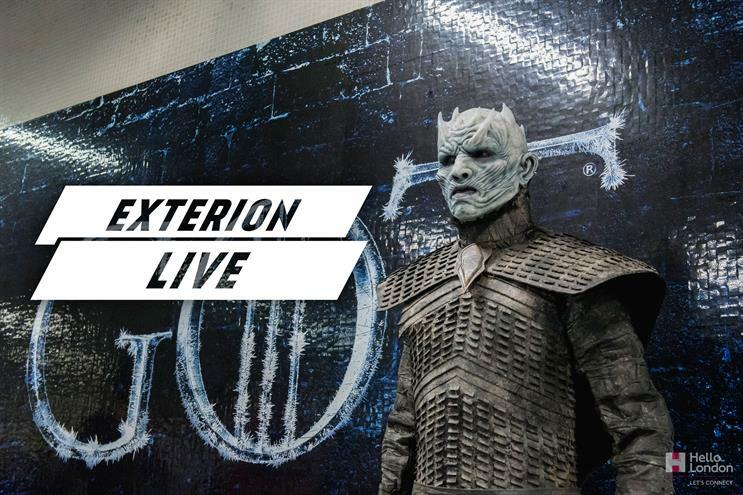 Exterion Live will offer complete management of experiential campaigns across transport, retail, urban, sports and entertainment with its clients Transport for London, National Rail, Westfield, London Designer Outlet and Wembley Park. The division will initially have access to 20 London Underground sites including King’s Cross, Canary Wharf, Tottenham Court Road, Waterloo, Shepherd’s Bush and Farringdon. Exterion has also created a booking portal for agencies to "streamline" the booking process for space and clients will be able to see live availability of experiential spaces. The company said that consumers are more interested in memorable experiences with its research showing that 98% of people are more inclined to purchase post a brand experience. Exterion also cited IPA figures which show that on average 12.3% of briefs are being allocated to experiential marketing, outperforming all other major marketing channels. Dave King, managing director at Exterion Media, told Campaign about his plans to find "new revenue streams and growth" upon arriving at the company in January this year. He joined after 12 years at Telegraph Media Group, which had also set up an events arm, Telegraph Events, in 2014. On Exterion Live, King said: "We’ve seen a huge demand for experiential from our clients in the past six months, particularly after the launch of Hello London, our world-class partnership with TfL. "Exterion Live will enable our clients to amplify their out-of-home campaigns and deliver shareable and memorable experiences beyond the poster to consumers."